Microprocessor control with digital display (2). Operating temperature: Factory preset; -30°C. The exterior front, door and sides are white baked on enamel; exterior top, back and bottom are galvanized steel. White enamel interior. 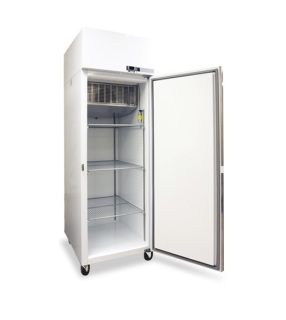 Cabinet and doors are foamed-in-place with CFC Free high density polyurethane foam insulation. Heavy duty pivot hinges, key door locks, full length pull handles. 2 epoxy coated wire shelves per door, adjustable to 1” increments. Perimeter, anti-condensate door opening heater wires. Interior incandescent light activated by switches for each door. Freezer compartment on the bottom; fridge compartment on top. 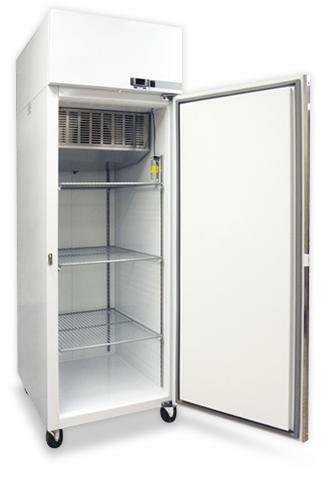 Refrigerant flow controlled by thermostatic expansion valves increasing ability of fridge and freezer to meet varying load conditions. 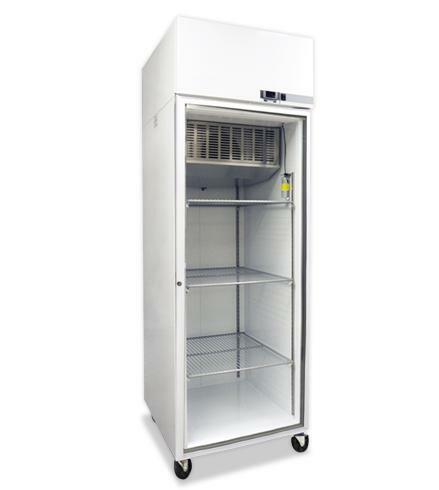 Air-cooled condensing unit, automatic defrost. Field reversible solid doors, magnetic door gasket. Warranties: 18 months parts and labor, 5 year compressor (US and Canada) 18 months parts (International). 2” sleeve with cover (refrigerator). Legs in lieu of casters (4 legs for this unit). Hi / Lo audible alarm with Remote contacts. Digital monitor thermometer with alarm (field installed). Temperature chart recorder and paper. Digital LED Microprocessor temperature controller. Hi/Lo audible and visual alarm and remote alarm contacts. Adjustable temperature control range from -30˚C to -40˚C. Continuous product temperature display, product sensor with glycerin bottle. Cabinet and solid door are foamed-in-place. CFC Free high density polyurethane foam insulation. Heavy duty door pivot hinges. Centered key door lock (2 keys). Top mounted forced air refrigeration system. Warranties: 18 month parts and labor, 5 year compressor. You should not exceed these recommended weights. It may cause damage to the interior walls and structure of the unit.